At present, people are getting aware of recycling. A lot of people are using eco-friendly things and also, they are turning their useless items into useful items. There are different DIY projects and tutorials present on the internet. However, today we have brought those brilliant ideas which you cannot find anywhere else. 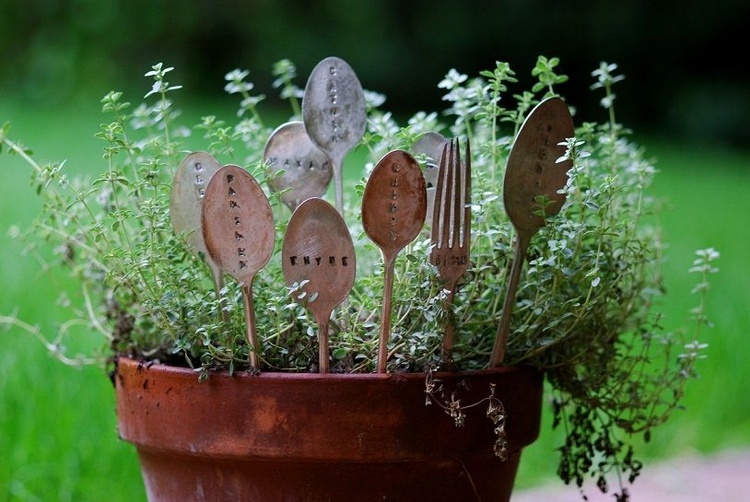 We are going to tell you about how to repurpose your utensils and give them a new appearance and look. You will not have to spend money on these ideas. 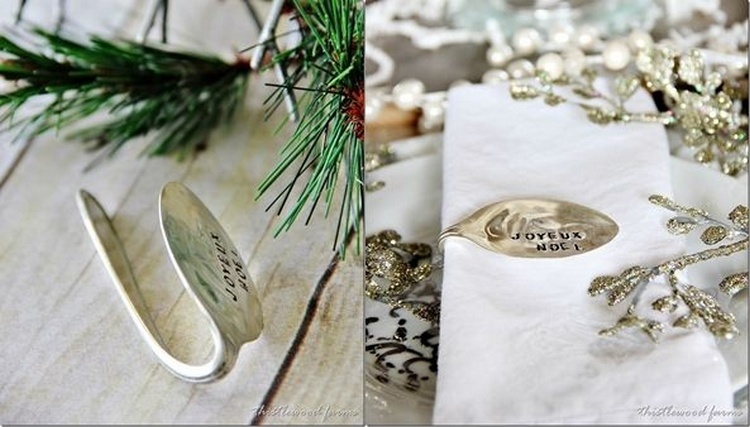 Just get your utensils and try to make these beautiful items from them. These ideas are easy to comprehend. It is a beautiful DIY project. 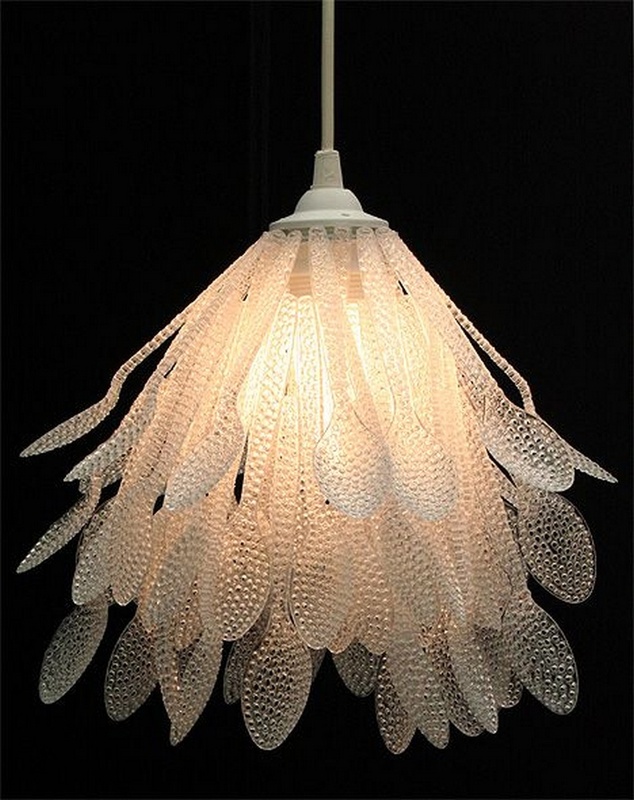 For this project, we have gathered a lot of plastic spoons and then joined them together to create this beautiful lamp. 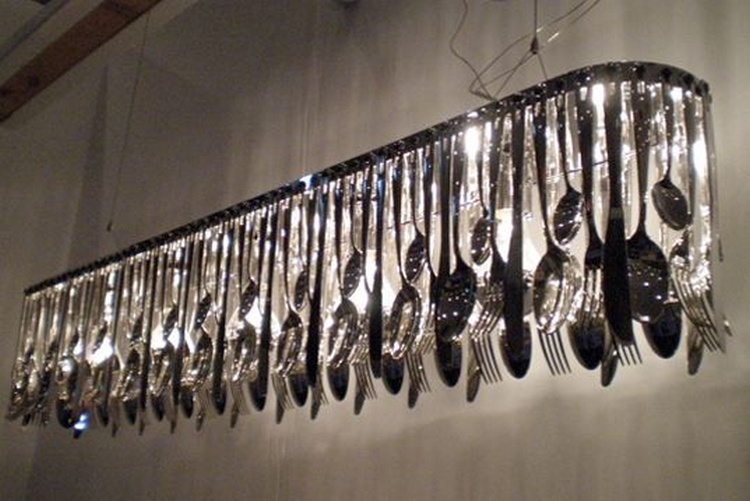 The light is coming from these spoons. You can also use fork for this project. WOW! 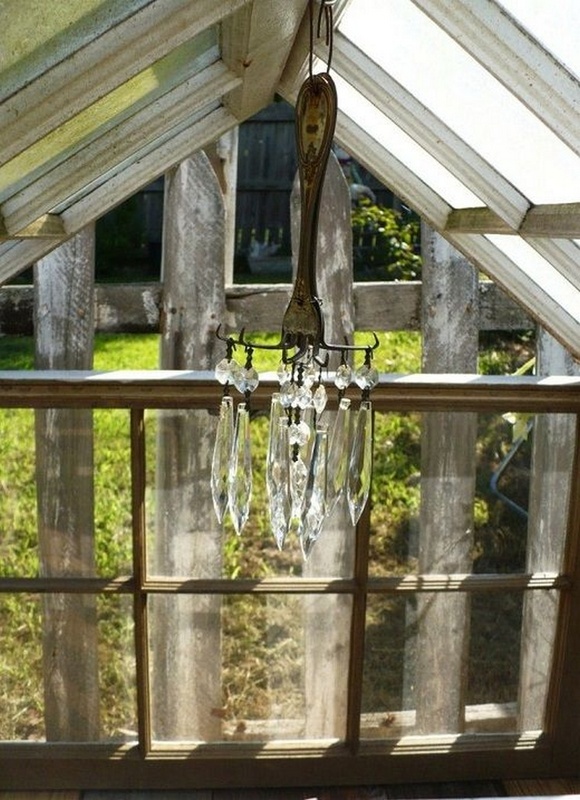 This is what I call cool DIY project! 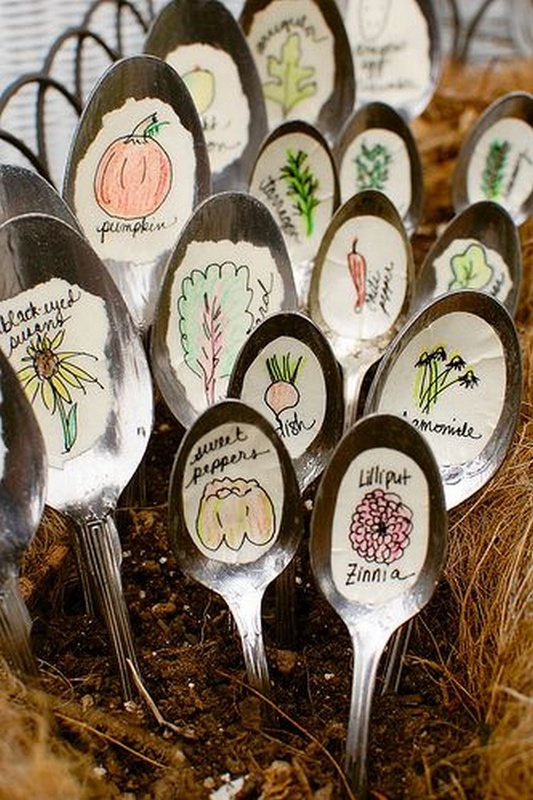 You will have to collect a lot of spoons and forks for this project. 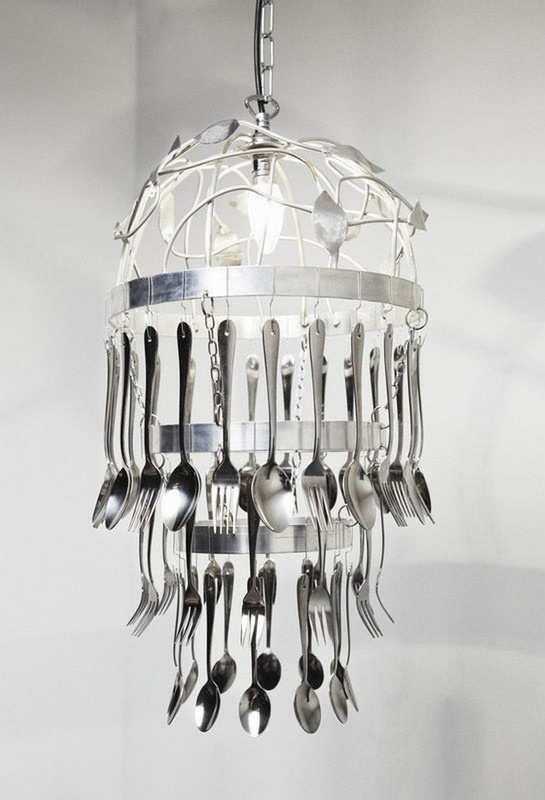 We have first put together all these utensils and then dangled all of them around a lamp. We have made two rows but you can personalize it. 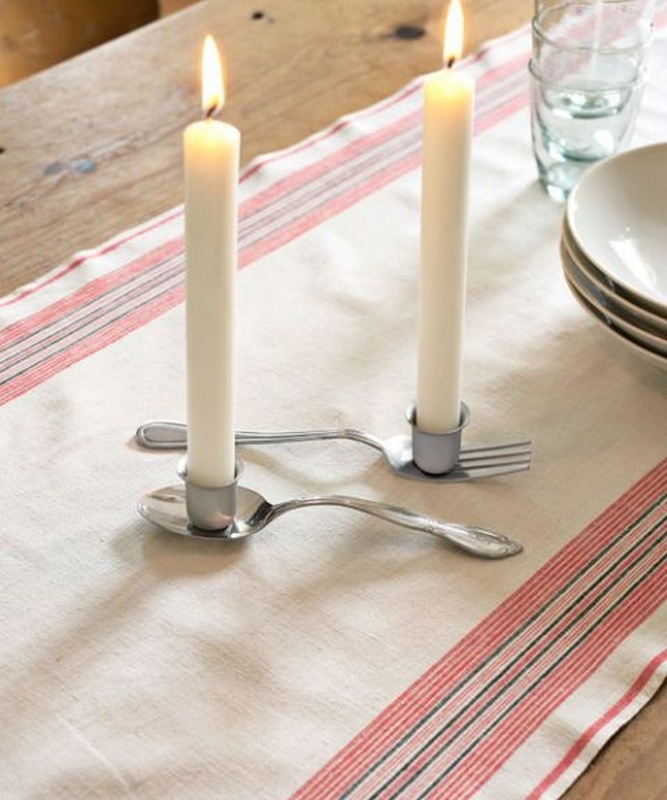 You can now turn your fork and spoon into candle holders. 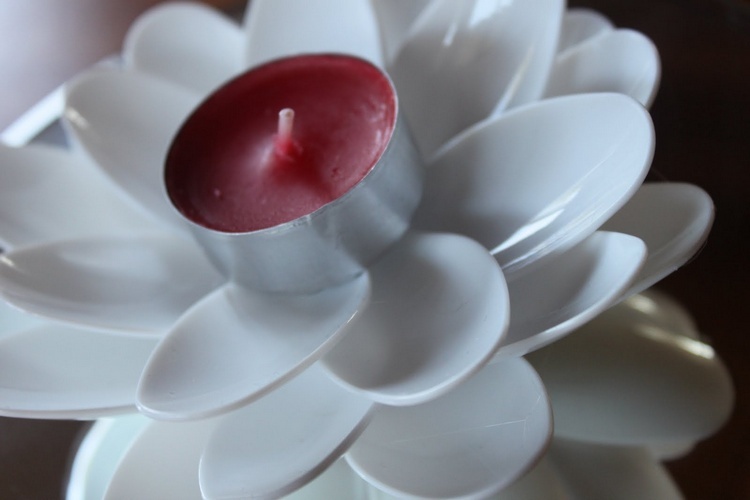 You would need small candle containers like we have shown you in the above picture. Then put candles in them and put them on the fork or spoon. 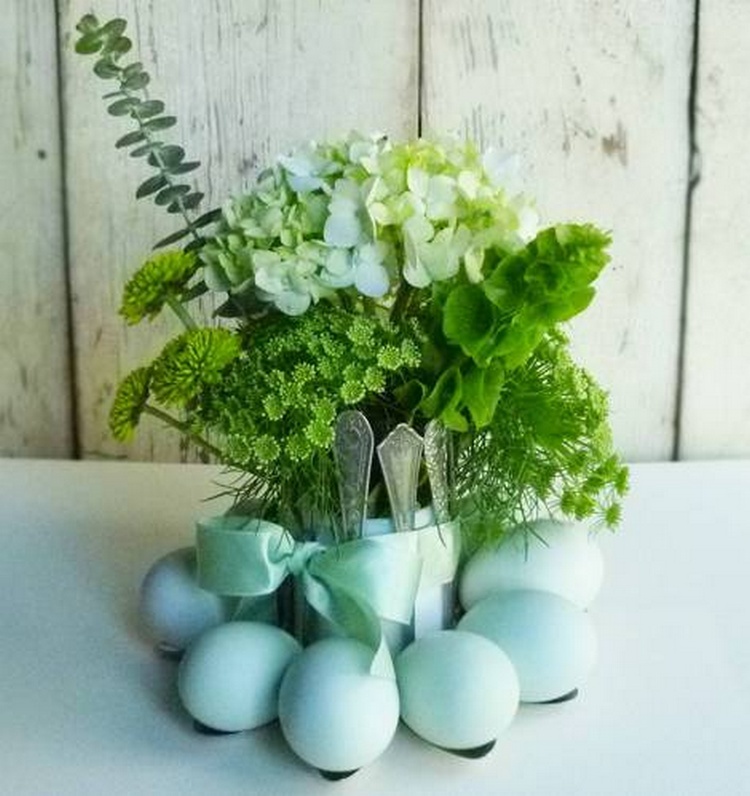 It will look beautiful on the dining table especially at dinner time. 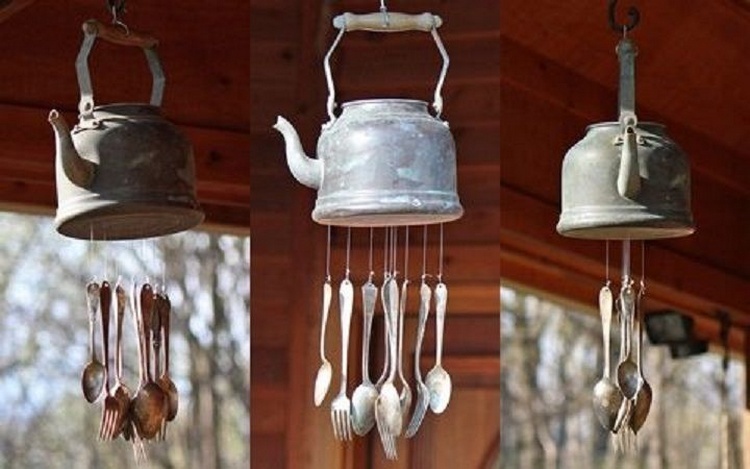 You can collect and join these awesome utensils and turn them into beautiful wind chimes. 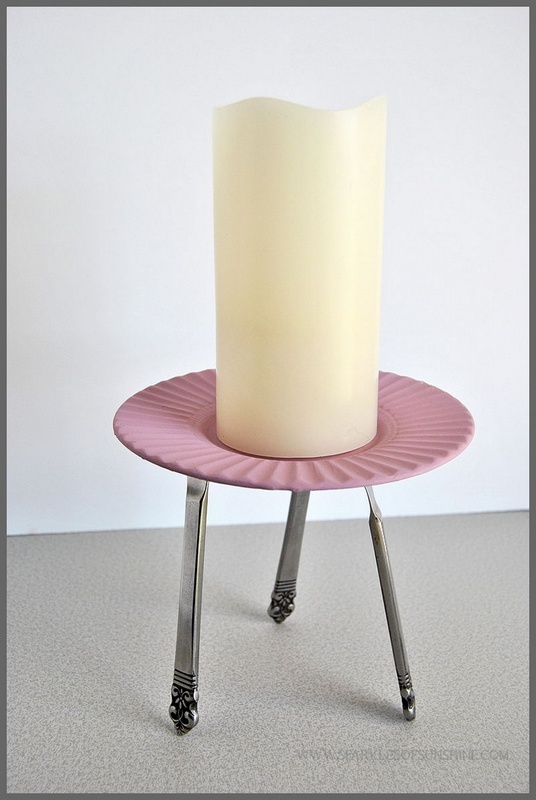 You can use it as a décor item as well. It can be placed in drawing room or lounge to have a good impression on the guests. You can even gift this item to your loved ones by making it all by yourself. 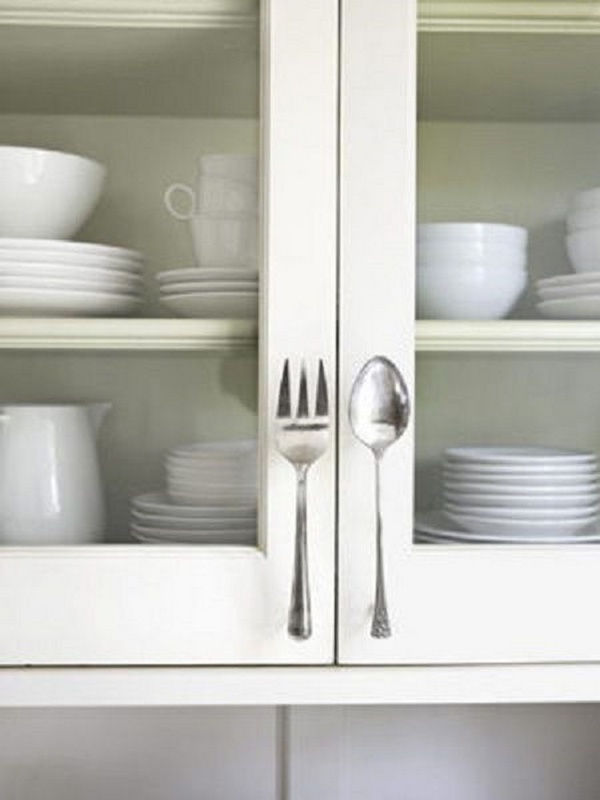 You can use your utensils as the holders of your kitchen cabinets. It is just the new idea which is so unique and you haven’t seen it before. You will just have to be very careful while fixing your forks and spoons on the cabinets to make them holders. 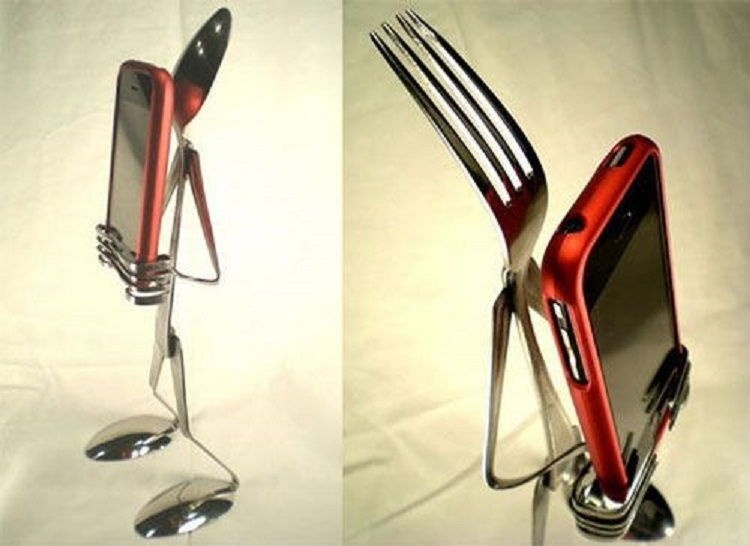 Who can ever think that utensils can be used as phone holder? We have brought this mind blowing idea for you to save your money from buying those expensive and useless phone holders. It is not just a stylish phone holder but also it is strong enough that it will not drop your phone after getting a shock. WOW! 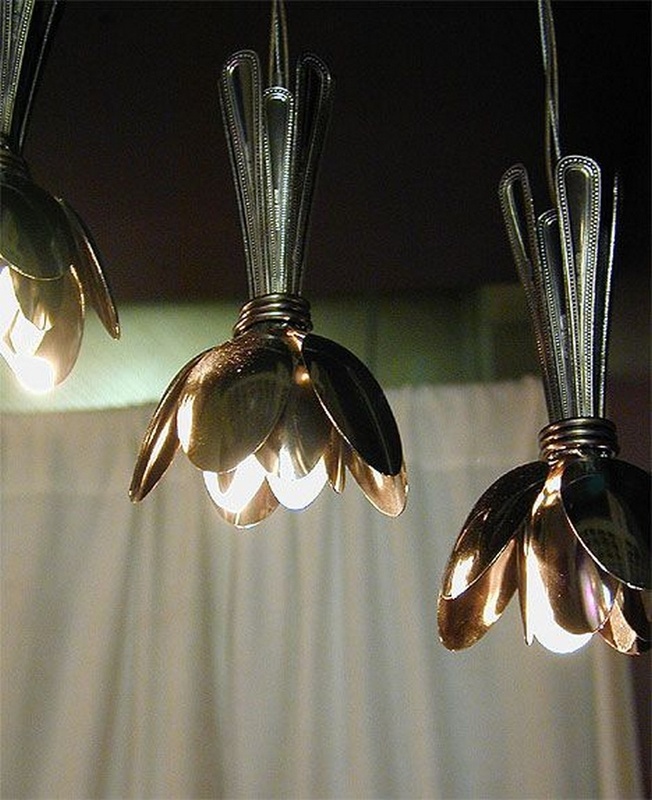 Join your stainless steel spoons together by using a steel thread and put a small lamp between them. It is not a time consuming project so you can make as many projects as you like. 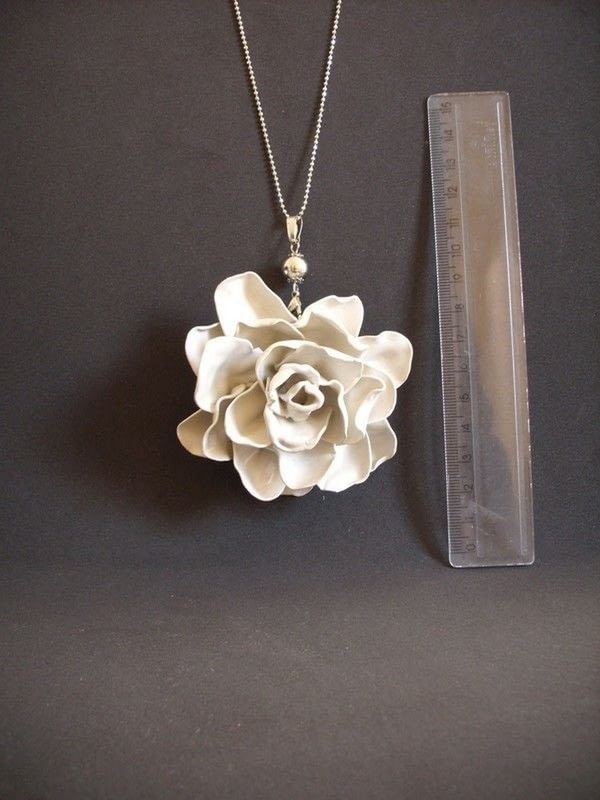 This project can be made by any novice. Get four plastic spoons and then, you can write names on them. You will then have to put these spoons in a box. This project is a bit difficult but you can get all things right by just following each step thoroughly of the tutorial. You can also write any text on these spoons. WOW! 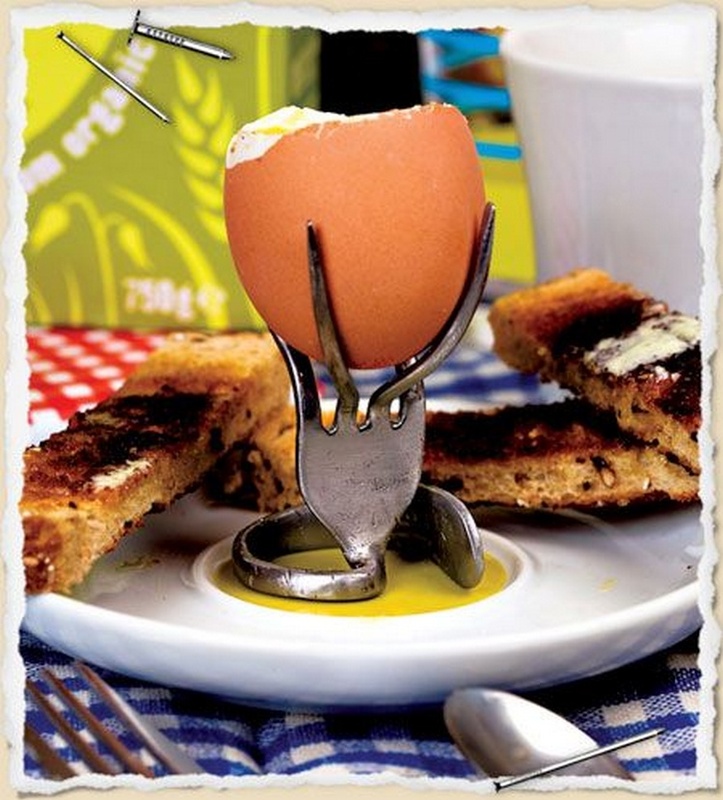 What beautiful style is this to use the utensils! You will have to dangle the spoons and forks under the tea pots. 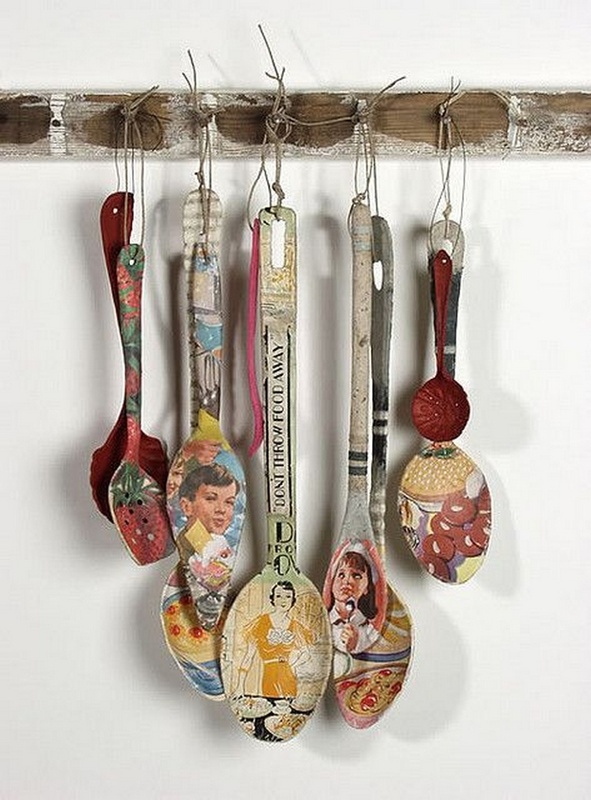 You can dangle these beautiful art pieces in your kitchen but do not hang them at the entrance of your kitchen. 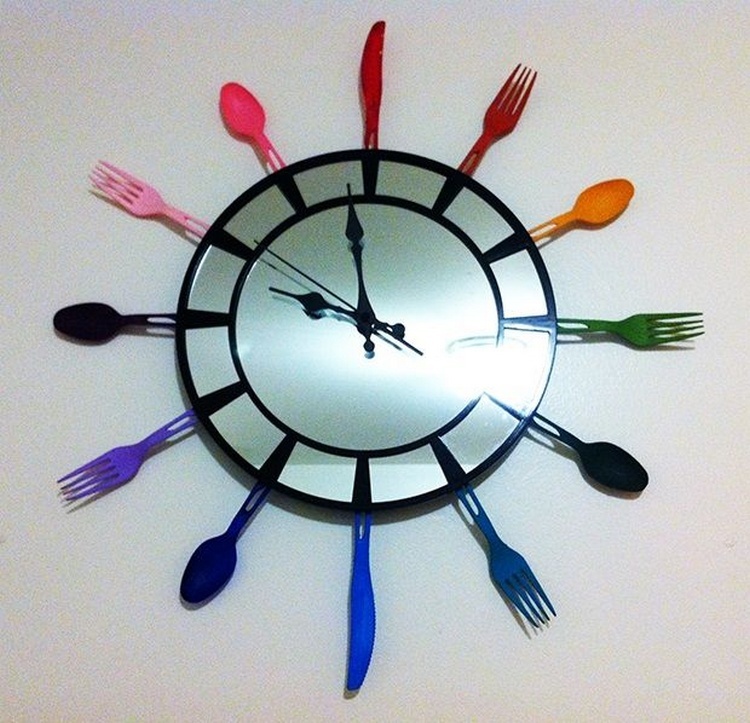 You can now use colorful plastic utensils to décor your old and simple clock. We have placed the utensils on the places of the digits to check out the time easily. AMAZING! 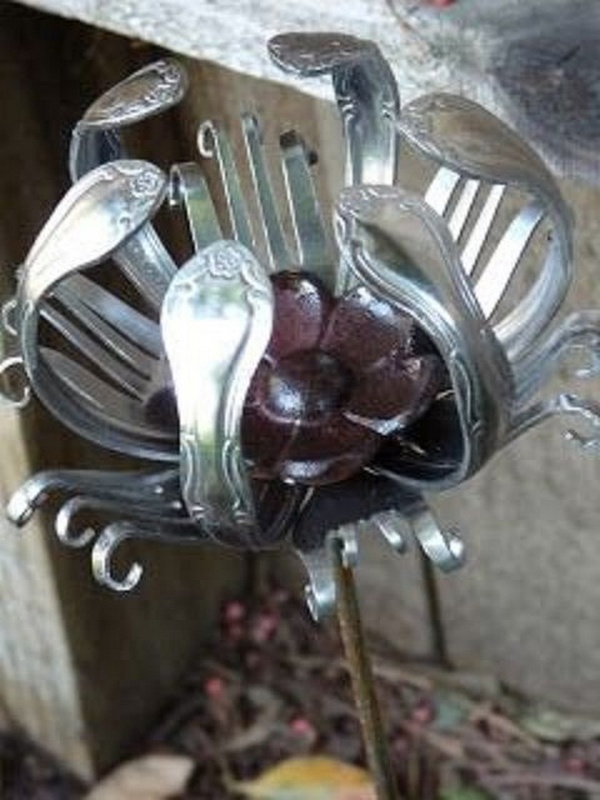 It is a flower made entirely from utensils! You can create it to gift your loved ones and also you can use it to decorate your outdoor space. 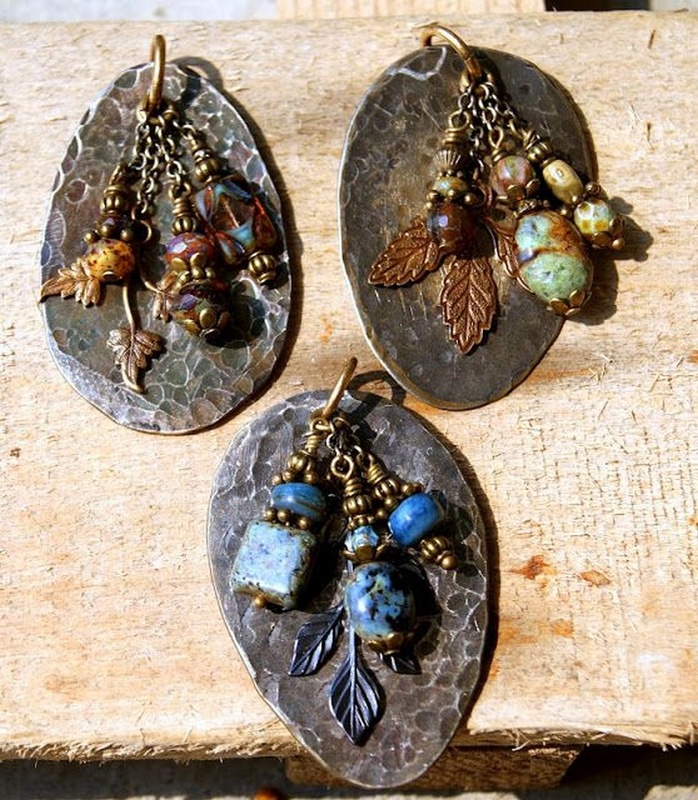 You will need DIY expertise to make this beautiful project. It is just an awesome creation. 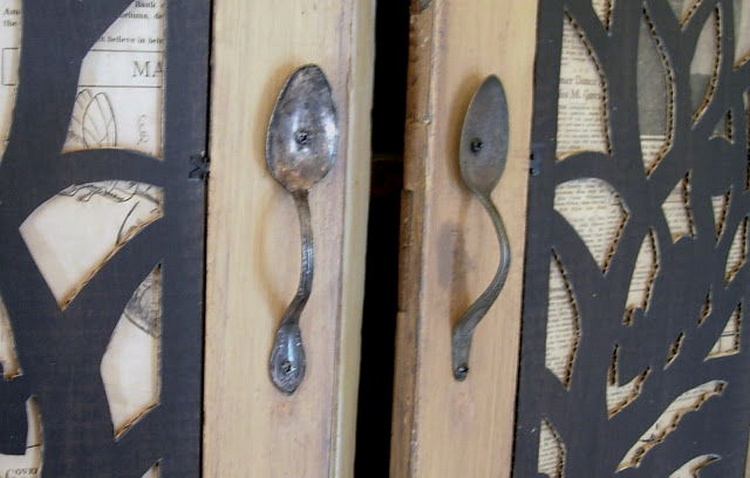 You can now fix your old spoons on the cabinets and doors to use them as holders. We have fixed up these spoons with nails. You can use shiny spoons although we have used the rough spoons. These holders are strong enough. You can easily pull and push the door without worrying about the strength of these holders. 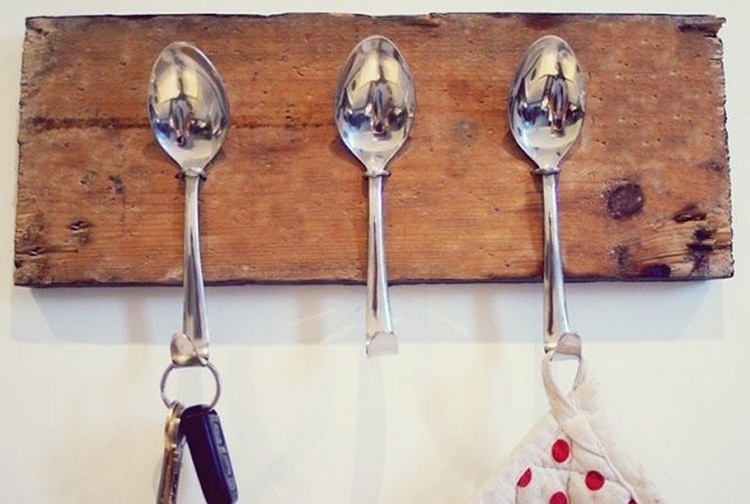 You can now use the old spoons as hooks to dangle different things like we have used plants to dangle on these hooks. 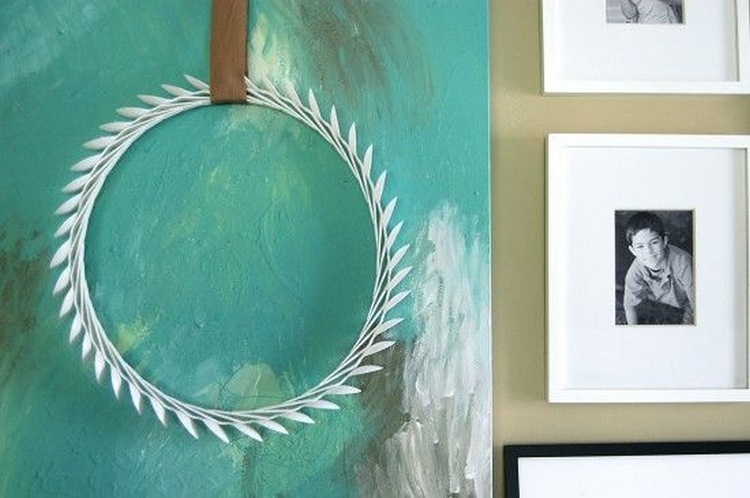 You can décor your wall with these beautiful DIY projects. 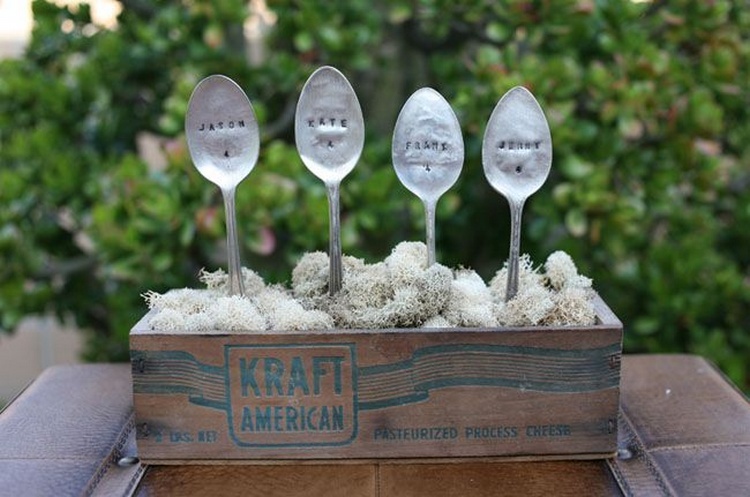 You can fix the spoons on a pallet plank with nails. You can place this pallet plank on any wall of your home. 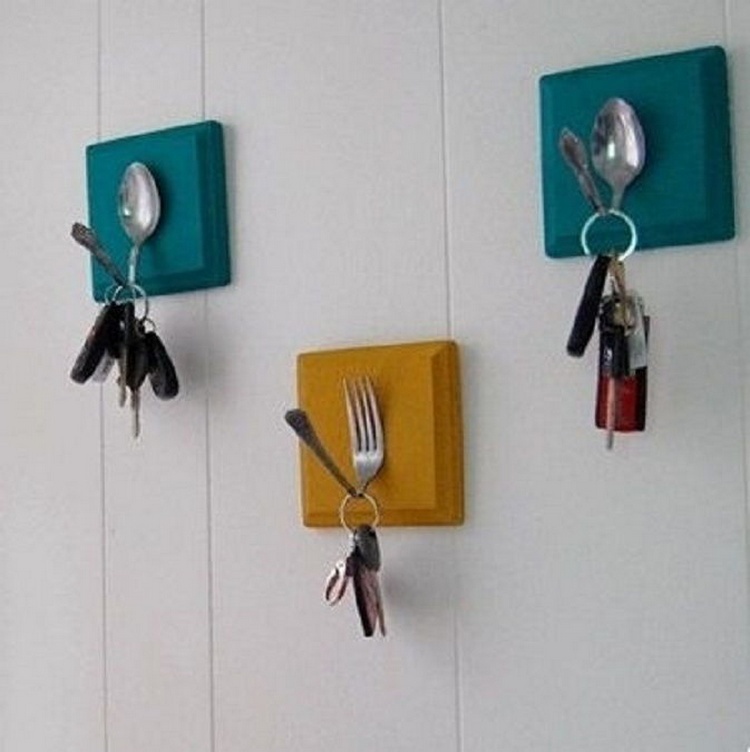 You can use the spoons as hooks and dangle you keys, mufflers or any other thing on these hooks. These hooks are very strong to bear any weight. 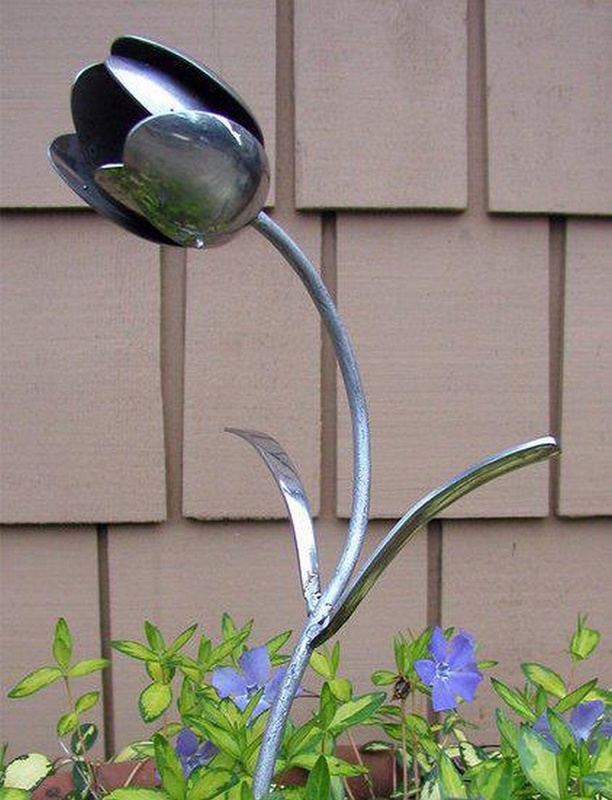 We have used the old utensils to create this beautiful master piece. 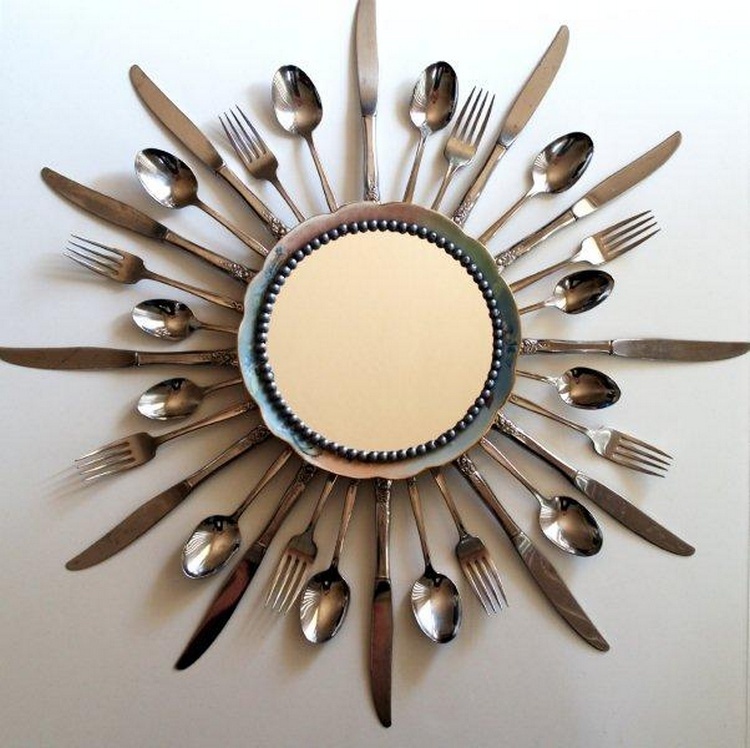 If you have guts and have DIY experience then you can in no time create this beautiful project by repurposing old utensils. WOW! 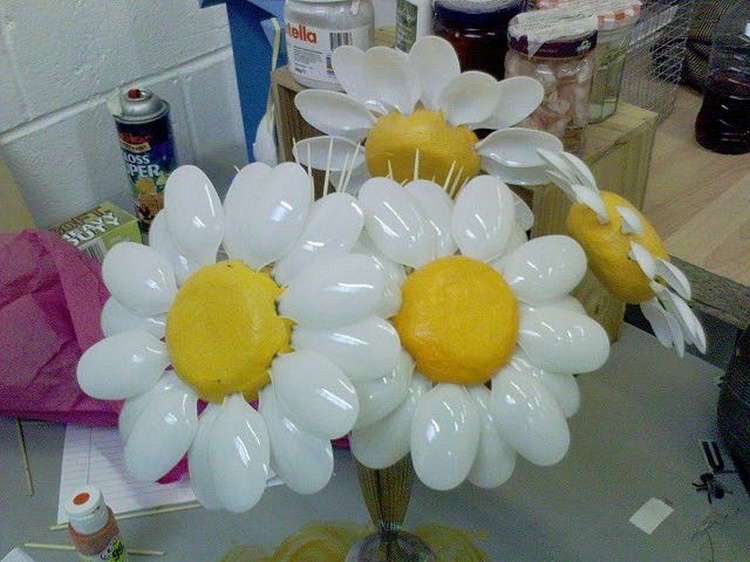 Turn your plastic spoons into beautiful flowers! We have used foam and then painted it in yellow color. Then we have fixed the spoons on this foam. 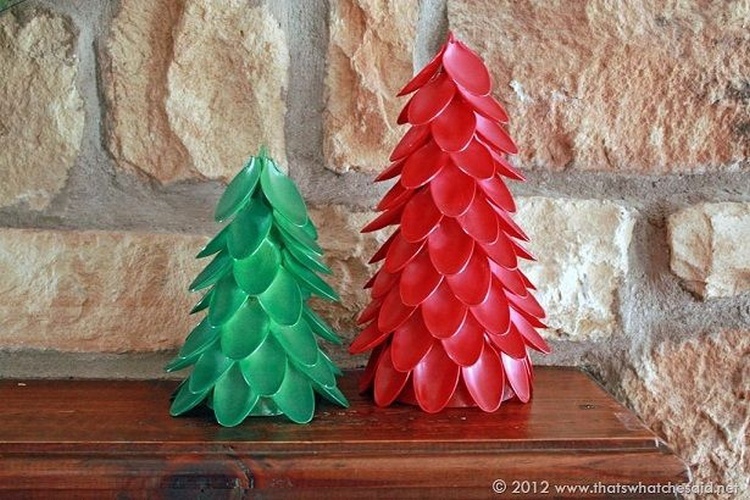 You can make these projects for kids. COOL! 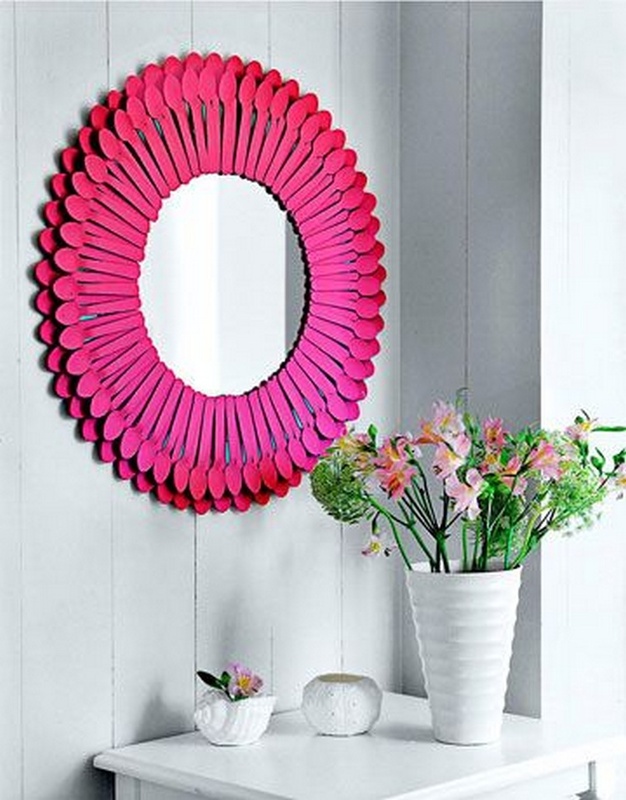 Take square shaped wooden pieces and then color them in any shade. 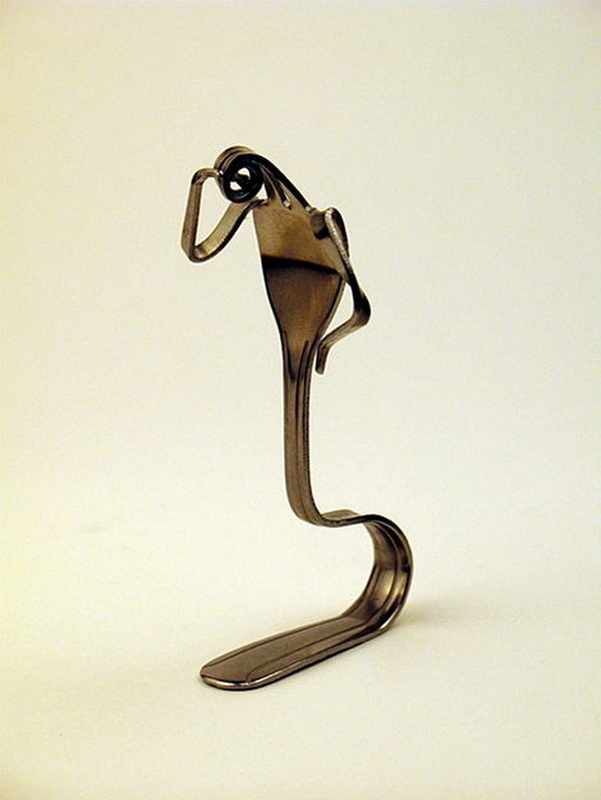 After that, you will have to fix one fork or spoon on them but fold these utensils to shape them as a hook. 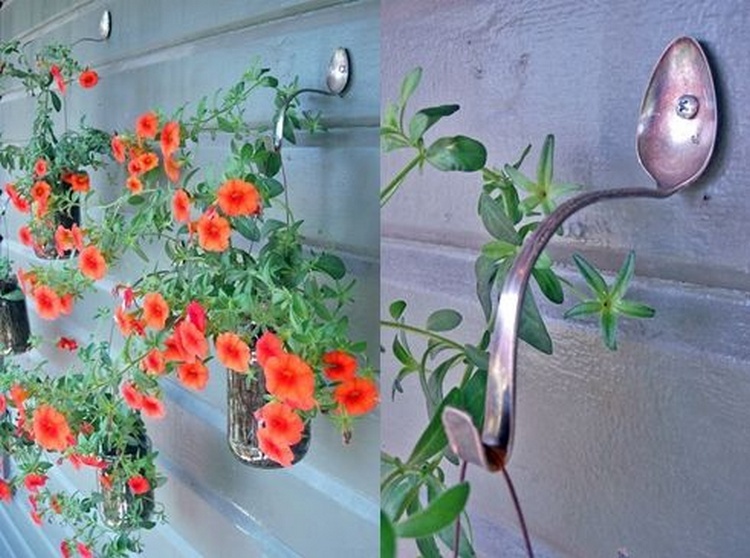 You can now set these hooks on any wall of your house. 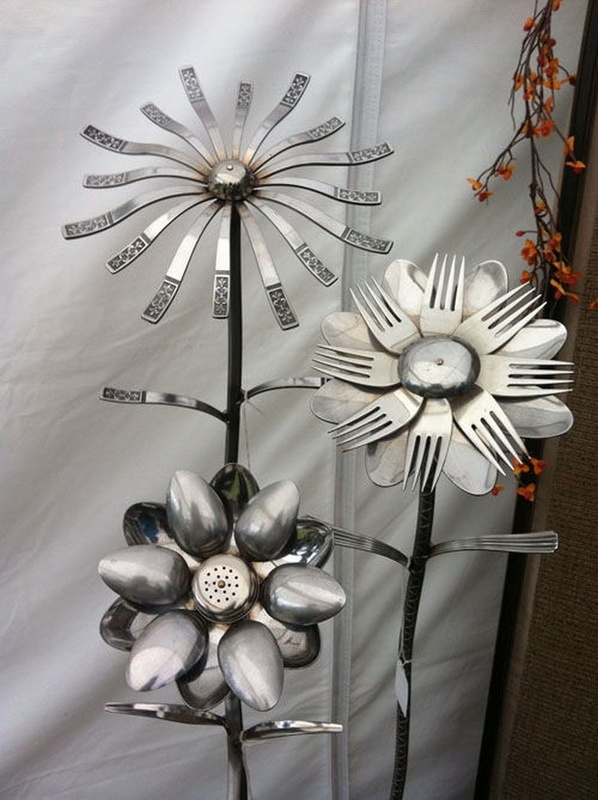 You can now make different types of flowers by just reusing your utensils. You can use these items as decoration pieces. You can put them together at one place whether in corner or center of your room. 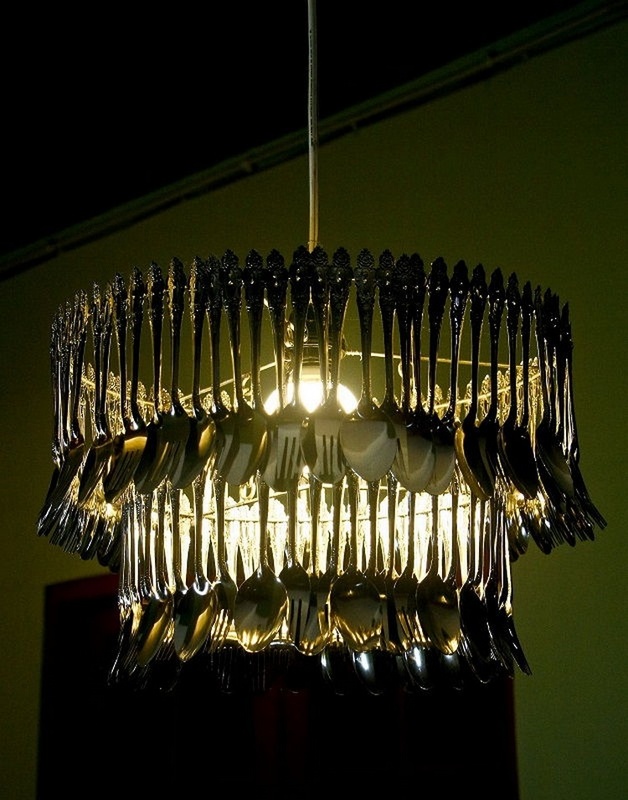 Get a rod and then put all your forks and spoons on them in a row! After that, put this rod in front of the lights and your handmade utensils masterpiece will be completed. 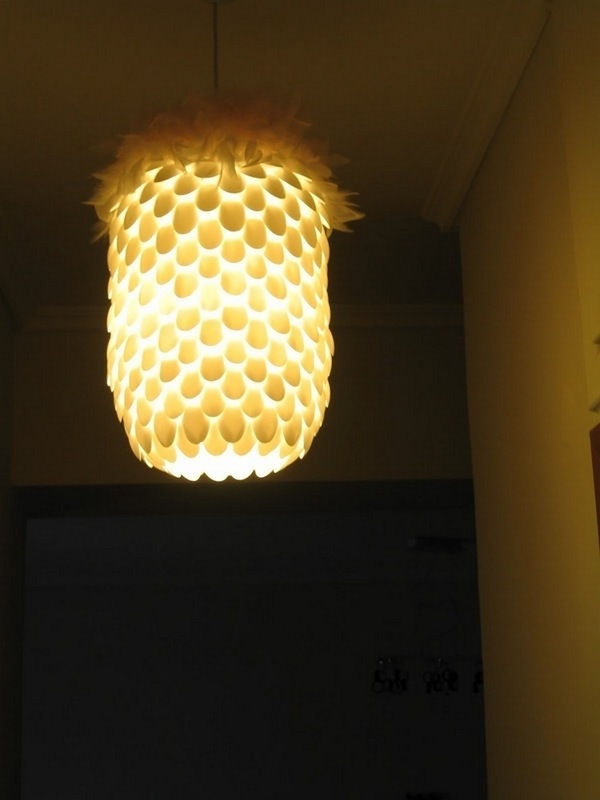 Make a pineapple shaped dangling lantern for any place of your home by reusing utensils. 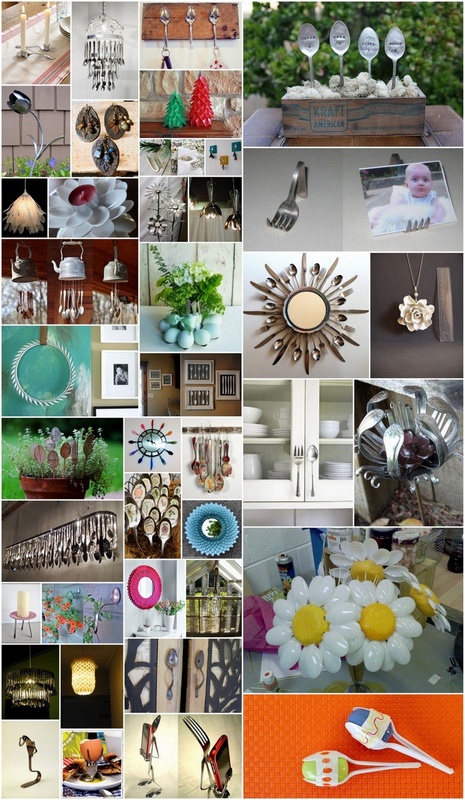 It is for those people who love to try different DIY projects. 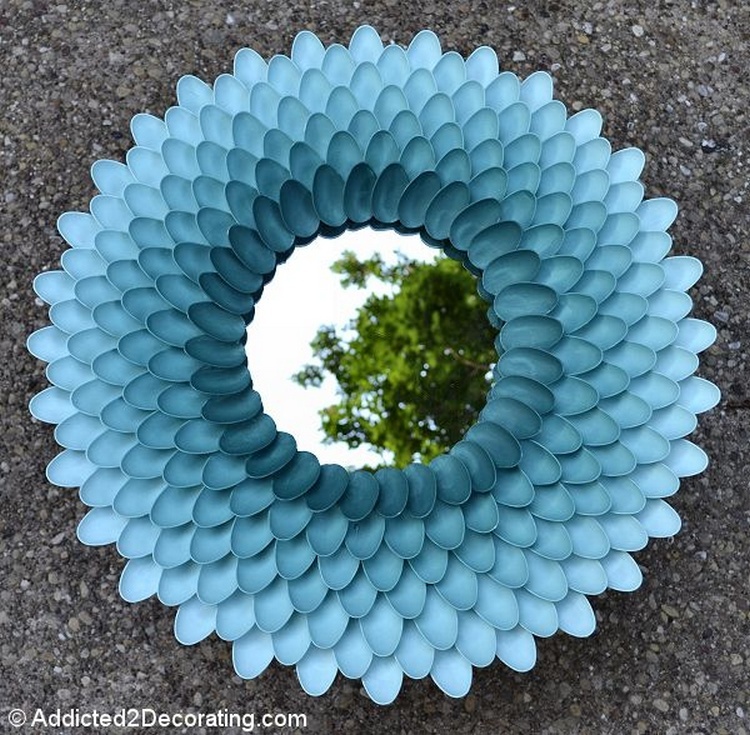 However, you will need to use plastic utensils for this project. 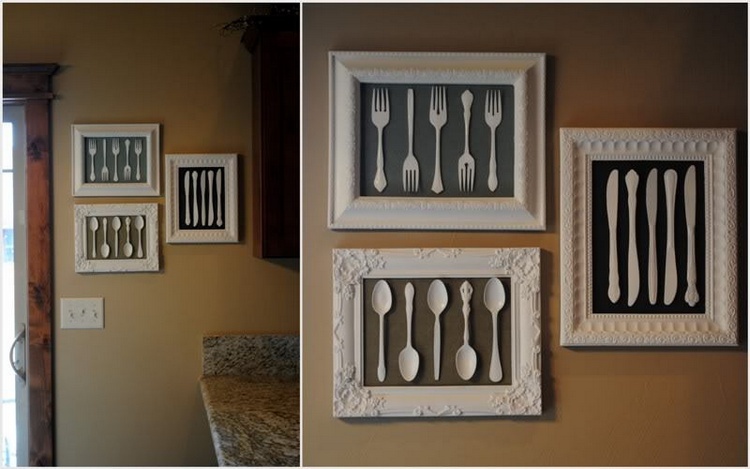 You can now change your utensils into beautiful frames. They will look awesome on your walls and will beautify your room as well. Just copy the idea as we have shown you in the picture above.